Kids try to build an identical structure by only listening to each others' instructions! 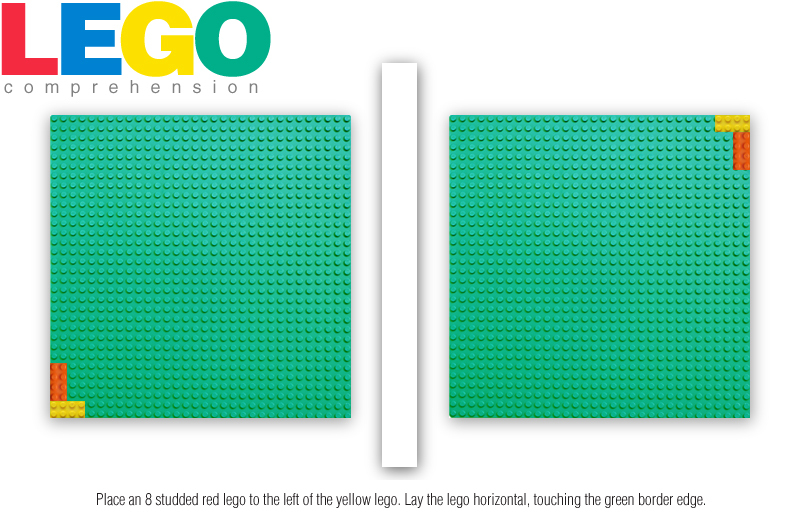 Place something in between 2 lego plates, so kids can't see each others' lego building base (no cheating!). Kids take turns giving instructions. They must be very detail oriented (describe color, size, and placement). Also, they have to have good listening skills, so they place the lego in the correct spot! When they're finished building, they look at their structures to see if they are identical. Did they give good directions? !